Giant Heirloom Market is coming to more neighborhoods in Philadelphia. Giant Food Stores said Wednesday that it plans to open three more locations for its compact, urban store concept this year in the city’s University City, Northern Liberties and Queen Village districts. The University City store is slated to open this summer at 3401 Chestnut St. Situated between Drexel University and the University of Pennsylvania, the site will provide easy access to fresh, convenient food for two large populations of students, faculty and administration, Carlisle, Pa.-based Giant said. Opening this fall will be the Northern Liberties store, located at 1002 North Second St., across from the popular Schmidt’s Commons, a public plaza with boutiques and restaurants. The Queen Village location, at 201 South St., is due to open its doors by the end of 2019. 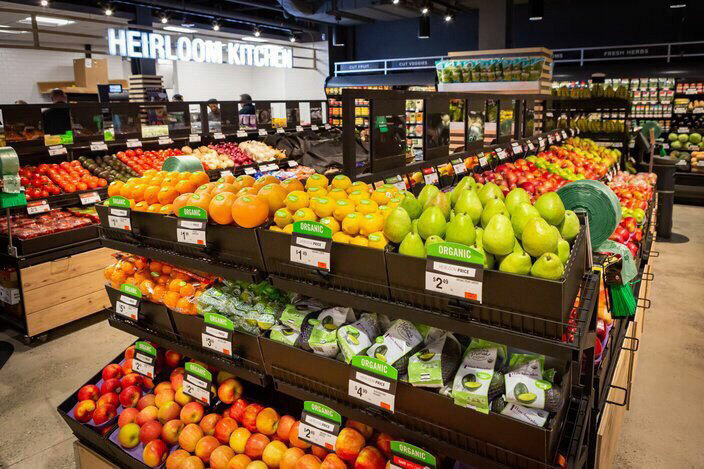 Giant said the new Heirloom Markets will give the chain five stores in the Philadelphia city limits, including one Giant supermarket on Grant Avenue in northeastern Philadelphia that opened in 2011. The first Heirloom Market, a 9,500-square-foot store, opened Jan. 25 at 2303 Bainbridge St. in the Graduate Hospital neighborhood of downtown Philadelphia. Much smaller than a conventional Giant supermarket, Heirloom Market stores are designed to accommodate compact urban spaces and provide shopping experiences that offer selections and features tailored to the neighborhoods they serve. To that end, the Heirloom Market in University City will cater to its university customer base with a wide range of grab-and-go meals for breakfast, lunch and dinner that can be taken to school or work, eaten in a gathering area with fellow students or colleagues, or taken home, Giant noted. The University City store also plans to accept payment by DragonCard and the Penn Card. Like the first Heirloom Market, the three new stores will offer an assortment of fresh, local and seasonal foods plus daily staples and natural/organic products from Nature’s Promise, an exclusive brand from Giant’s parent Ahold Delhaize USA. An on-site Produce Chef can cut fresh vegetables and fruit on demand, and customers can taste new flavors at a sampling station. Other features include a curated selection of craft, imported and domestic beer and wines; a broad lineup of plant‐based foods; local artisanal breads; fresh-made sushi; kombucha on tap; a do‐it‐yourself olive oil and vinegar blending station; and favorites from Philadelphia‐area food vendors such as High Street on Market, Claudio’s, Isgro Pastries and One Village Coffee. The Heirloom Market stores also cater to tech-savvy customers. 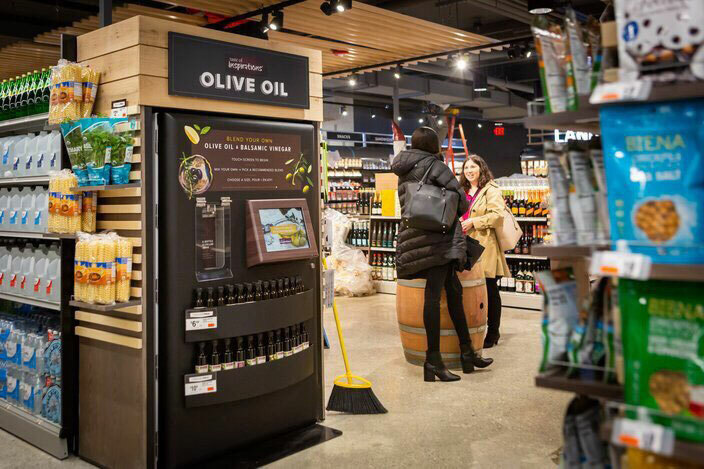 Besides self and mobile checkout, the locations include “endless aisle” service that allows shoppers who want an item unavailable in-store to order it online using an iPad and choose next-day pickup or delivery. “We’re excited to be able to collaborate with our new urban communities to create a store tailored to their specific needs, preferences and neighborhood flavor,” Bertram added. Giant said the three new Heirloom Markets are expected to contribute about 150 full- and part-time store associate jobs to the surrounding Philadelphia communities.